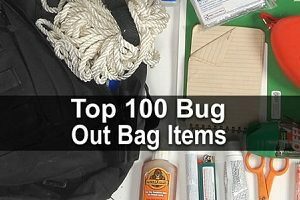 A few years ago I wrote a post called 50 Survival Items You Forgot To Buy which ended up being my most popular post of all time. 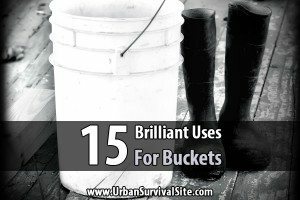 The idea was to make a list of items the average prepper might have forgotten. Since then, I’ve gotten all sorts of messages from people telling me about other things preppers often forget. I finally decided to compile them into a new list. This has many uses, the most important of which is the treatment of poisoning. It’s not the Altoids themselves that are useful, but the tins. There are lots of cool ways to reuse them. This stuff will keep rodents away from your home and small herbivores away from your garden. A very useful item that cleans and deodorizes. Not just a headband. They can be used as tourniquets, cords, slings, and more. Hang clothes to dry, hook tarps together, keep bags clipped down, and more. You may need these to tie valuables to your bug out vehicle, or you could use them instead of rope for other projects. These can be used for building shelter, repairing clothes, building snares, and more. You wouldn’t think so, but there are at least 20 things you can do with chapstick. Especially ones that explain how to make things from scratch, like this one. You could also look for some good from-scratch recipes online and print them. No need to waste batteries or wait for the sun to charge it up. This one also has a port for charging electronics. A good way to keep small children entertained while the power is out. Also, crayons can be used as fire starters or emergency candles. You may need this if you have to scavenge for supplies. It can also be used for self defense. A first aid kit is obvious, but many preppers forget that dental emergencies are also very common. I mentioned cloth diapers in the other post, but regular diapers are also important. Plus, they have several other uses. If you get desperate for food, you might need this. A quick and easy way to extinguish a small fire. For larger fires, you’ll need one of these. We’re supposed to be preparing for emergencies and fires are a very common emergency. Don’t forget this one. No need for a coffee maker. Just add boiling water and enjoy fresh coffee. I know this sounds silly, but there are actually several things you can do with one. 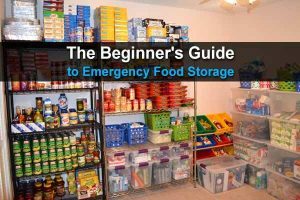 If you and your prepper friends and/or family members all stay in one home, you may need more places for people to sleep. You’re better off getting these at a flea market or yard sale. Believe it or not, there are all sorts of things you can do with them. These provide protection from dust, toxic fumes, and airborne viruses. Very helpful item if you want meat that is safe to eat but still nice and juicy. Here is a guide to recommended temperatures. Strain oil, rendered fat, herbs, etc. These aren’t just blankets. Here’s a list of 22 things you can do with them. These can be used to hold bait, make cordage, strain water, go fishing, dehydrate food, and many other things. It has dozens of applications. Here’s a list of 44 fantastic uses. It can protect your windows during a hurricane, but it’s also great for many other unanticipated construction projects. As with plywood, this is great to have around just in case. This stuff is awesome. Its not just for firearms. You can also use it to keep anything metal clean and protected from rust. I use these to keep small items together and organized, and sometimes string just isn’t enough. Use as a fish hook, hang stuff to dry, fix shoelaces, attach gear to your bug out bag, connect blankets or tarps to build a shelter, etc. Your imagination is the limit. Use to protect your home from flood waters. They can also be used to gather water, carry supplies, trap animals, patch tents, and much more. Sprouts are tasty and healthy, making them a great addition to your survival food. In the words of Lieutenant Dan, “Take good care of your feet!” They can also be used as gloves, pouches, bandages, masks, and tinder. Great for boiling water, heating soup, cooking Ramen noodles, making instant rice, etc. In addition to scrubbing pots, it can be used to start fires, peel carrots and potatoes, and plug mouse holes. Seal small cuts, repair water bottles, fix equipment, etc. If the power goes out, a simple landline phone will continue to work. Another good way to keep kids entertained. Find some good toys that don’t require batteries. With this, you can fix clothes or sew new ones without power. In addition to sealing food, you can also seal things that could corrode, things that could dry out, and you can reseal mylar bags. It’s a firestarter, it prevents rust, and it’s even useful for first aid. Here are 4 reasons to buy it. Self-adherent tape that holds bandages in place. Nowadays most people check the time on their phones or computers. 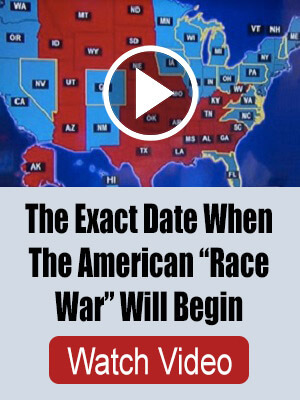 In a SHTF scenario you might want to have a good watch. Good for much more than lubricating hinges. My wife uses one as a calendar, to jot down notes, grocery lists, etc. Could be useful. These are essential during the winter, especially if the power is out and you want to keep the heat inside. A non-electric portable slow cooker. All you have to do is bring your food to a boil, then put it in the bag. It retains the heat and slow cooks your food for hours. This thing is awesome! With the dental kit, make sure you have clove oil. It will stop toothaches within seconds. It tastes nasty, but it will numb you up. #2 you said, “It’s not the Altoids themselves that are useful.” I beg to differ. I find Altoid’s very useful for settling a sour stomach in the middle of the night. Sucking on one after another incident not only settles my stomach but soothes my throat as well. Landline phones DO work without electricity as long as they are the corded variety. Sadly most landlines now a days are not corded. #49 has so many uses, I have also used it along with PVC piping to build small greenhouses as well as for replacing broken windows on vehicles and camper trailers. I personally use the stuff in my apartment here in the UK although on my bedroom window i use mylar blanket and double sided carpet tape to create a tinted finish secondary glazing, keeps my bedroom cooler and darker in daytime and in winter it is so warm because of the thermal reflective nature i can heat and light my room with church candles. As far as from scratch cookbooks, go to book sales or yard sales or second-hand bookstores and you will find tons of old cookbooks that teach you how to make things from scratch. Try to find cookbooks that give definitions of the abbreviated words in recipes and further clarifies instructions, such as what it means to saute, steam, whip, knead, etc. and what tsp. or Tbsp, etc. means. Also buy books that use your form of measurements—like ounces, cups, pints, etc. vs. liters, etc. It will make cooking, especially baking so much easier, and tastier. 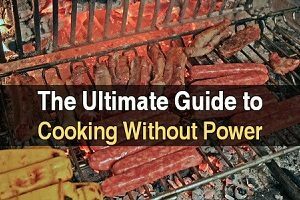 If you live in a high altitude (above 3500 – 4000 ft), see if you can find a cookbook for cooking in the higher altitudes. Either that or get on google and find instructions on cooking in that way, especially baking breads and cakes. Some things cook faster and other things, like turkeys, take longer at a high altitude. Rolls of Hemp rope might be another thing you might want to consider having around. The landline is a good idea, however very difficult to procure. We have a “landline”/ home phone, but it is serviced through the cable and would go out if there were no power. Even the phone company, AT and T has voice over IP not a traditional wired land line. Land line only good as long as the standby batteries in the exchange hold out. Corded phones can be used in power outages. If you do not have a land line you can create a direct line with an established phone line and use it for communication. I was happy to see activated charcoal on the list. I never hear anyone talk about it and I carry it as part of my EDC. Not just for poisoning, I find it really helps if I’ve eaten something that disagrees with me. I think that one’s in the first list.